Owen Williams is ready to be discharged from hospital, 10 months after suffering a spinal injury playing for Cardiff Blues in a 10-a-side event. 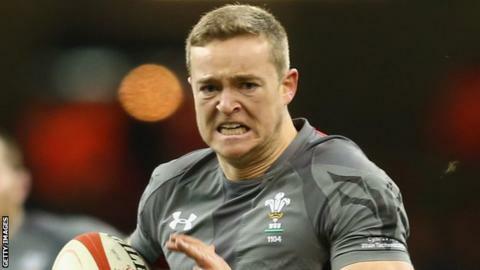 The 23-year-old Wales centre will go home next week and says he is preparing for the "next chapter" of his recovery. Williams has thanked staff at Cardiff's Rookwood Hospital, where he has been treated since July 2014. And he tweeted: "It's almost time for my discharge from Rookwood. Massive thanks to everyone for the support." He added: "I feel I still have a lot to work on, my aim is to be as independent as I can. "It's been an emotional time for me, family and friends. I couldn't have done it without you all. "Now it's on to the next chapter of settling in at home. It's going to be different now but I've accepted that and I'm ready for it. "Ten months is a long old time in hospital. The nurses, physios and occupation therapists here at Rookwood have been brilliant throughout and have helped me get where I need to be. "I cannot thank my two clubs Aberdare RFC and Cardiff Blues enough for their efforts and continued support." Williams, who has made four appearances for Wales, was initially treated in Singapore in June, before being transferred by air ambulance back to Wales and then on to the Welsh Spinal Injuries and Neurological Rehabilitation Unit. His injury sparked a social media campaign, which received support from around the world. Speaking on BBC Wales' Scrum V programme in December 2014, Williams said he had regained some movement in his arms, but had no feeling in his torso or legs. In his latest tweet, Williams said his injury had helped him appreciate "the little things in life". "I now think what a good life I did live and maybe took things for granted," he said. "Getting my cap for Wales has definitely helped me along. If this had happened to me and I hadn't quite achieved that then it would have been a lot harder to take. "But looking at my jersey on the wall in my house does put a smile on my face."